Westlife have revealed that they left Simon Cowell's record label as they felt "unloved" by the X Factor creator. The group, who announced their split in October, left Cowell's Syco company for Sony RCA in March. 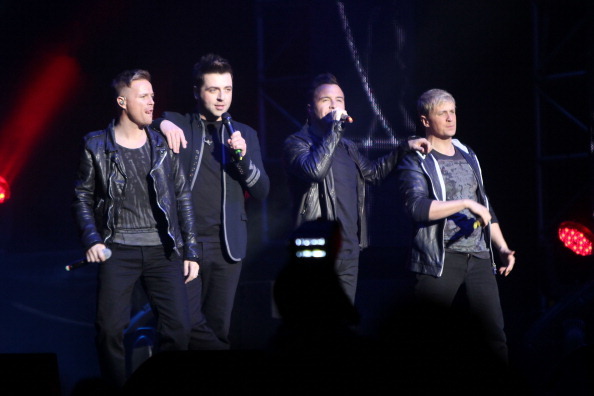 Westlife claimed that Cowell became more concerned with his own career than those he represented. Speaking to The Mirror, band member Nicky Byrne said: "Leaving Syco was us trying to patch up cracks. We felt unloved because we were making albums with that particular label and we were having to make our own decisions. He added: "Simon was the best thing that ever happened to us, with Louis Walsh, in the beginning. Without Simon Cowell we wouldn't have had the career the way we've had it. He picked every single and it's the singles that make you successful. He's a very talented man at what he does. "But then Syco Music... that whole machine exploded for him in the States." Shane Filan also said that the release of their Greatest Hits album would be the "natural" time for them to split. He said: "It kinda felt like now was the time. It was a conversation we didn't like admitting. But we all did admit it." Westlife's Greatest Hits album will be released on November 21.